With the fifth season of the Indian Super League (ISL) kicking off on September 29, Jamshedpur FC (JFC) have made the biggest signing of the transfer window; that of Australia's record goal scorer Tim Cahill. Cahill became the first Australian to appear in four World Cups in Russia and brings the experience of having turned out for Everton for eight seasons to JFC. He will turn 39 this December, though, and is likely to be the only marquee player across 10 teams -- a rule necessitating the presence of a high-profile player in every squad, one that the ISL had enforced for the first three seasons. So what could Cahill's inclusion mean for the ISL, and JFC in particular? "To get a pure number 9?" laughs assistant coach Ishfaq Ahmed about the main reason behind going for Cahill. JFC, coached by Steve Coppell last season, kept themselves in the running for the playoffs but missed out by four points, principally because only NorthEast United (12) scored fewer goals than them (and former champions ATK, both of whom scored 16). Unsurprisingly, none of them made the top four. "We created a lot of chances, and we were absolutely clear that we needed someone to convert those chances with a proper number 9. He might be the answer for the lack of scoring," says Ahmed. 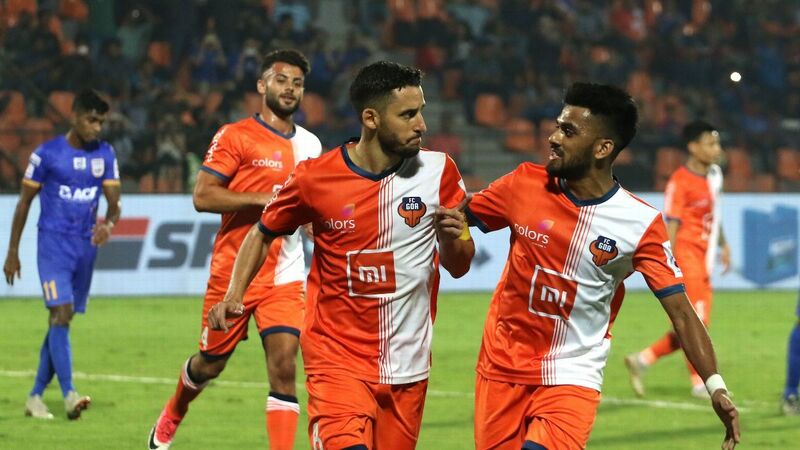 One of the debutant teams in the expanded ISL last season, JFC would also be keen to establish themselves as a brand, says former international Henry Menezes. "If you look at the commercial success of a movie, it's only the presence of a star that can ensure it," he says. "Cahill is the kind of star that can attract more media attention. Jamshedpur is in another world in terms of access to entertainment and facilities, but people will flock to the ground for entertainment." Ahmed agrees, saying that more people are talking about both Cahill and JFC since the announcement of his signing. Could recent form be a source of concern? Cahill's recent form might worry new head coach Cesar Ferrando, though. In 55 club appearances over the last three seasons, he has 15 goals, spread over stints in China with Hangzhou Greentown and Melbourne City. Turning out for Championship side Millwall in 2018, he didn't score in 10 matches. In 13 matches during World Cup qualifying and the finals, his only two goals came against Syria during the AFC playoffs. "I think sometimes players have rough patches, and the best scorers have suffered from that," says Ahmed, who says the poor form and indifferent fitness shown by last year's marquee signings -- Dimitar Berbatov for Kerala Blasters, and Robbie Keane for ATK -- should not be a source of concern. "The ISL has also had players like Florent Malouda and Elano Blumer, who were exceptional. Cahill will be different because he has been playing [regularly]. There are big expectations from big players and he would be used to that." Menezes, meanwhile, believes the stakes are in any case lower in a league without promotion and relegation. "You are essentially experimenting to improve your brand image more than anything else -- the results don't matter generally," he says. "Last year JFC were headless, without a goal scorer. We don't know how he will play, whether he will be fit, or how he will motivate other players around him. We cannot speak about age without seeing the fitness of the player -- he could play 25 minutes, one half, or if he conserves energy, he can play the full 90 minutes, but he might create that one moment that matters the most."